Let us recharge employees your with a custom workshop. How does creating on-demand poetry translate to the business sector? 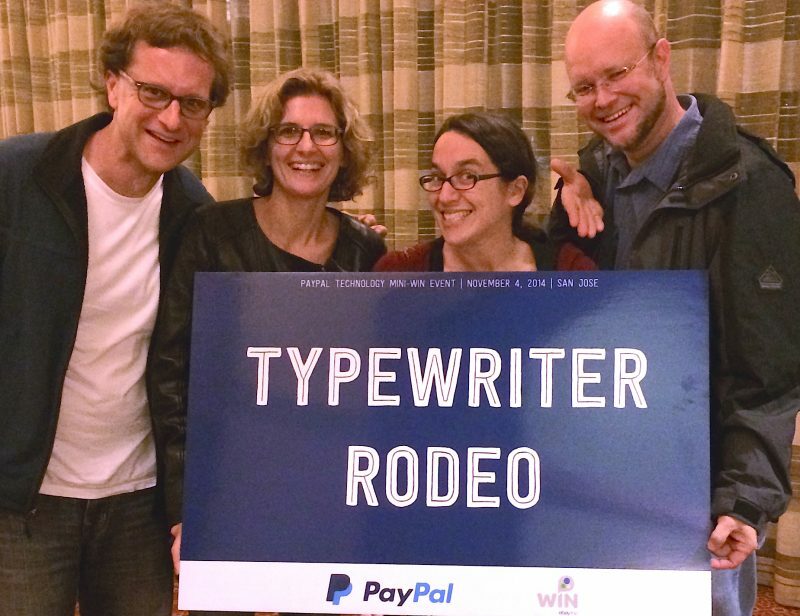 Typewriter Rodeo shows your employees how to harness the freedom — and fear — of making mistakes. We teach your enterprise how to adapt on-the-spot to client needs, and how to embrace the shared vulnerability needed to generate new ideas and establish mutual, meaningful trust. 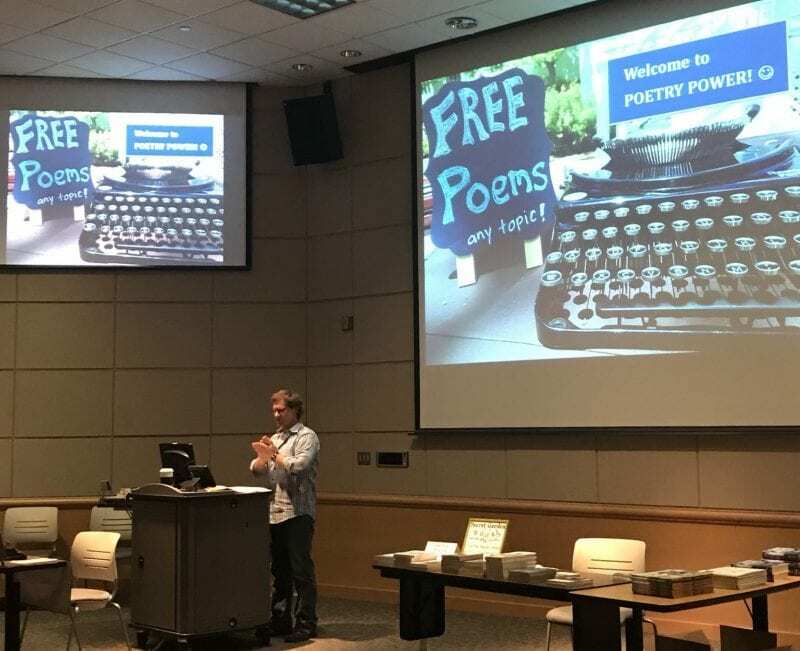 Writing a custom poem, while someone stands in front of you and waits, may seem a million miles from the demands of the conference room or cubicle. But both are focused on the same thing — garnering fast results and authentic connection with customers or co-workers, and tapping into the wealth of creative solutions you never dreamed you had. With an hour-long keynote custom-designed for your company, Typewriter Rodeo will show your employees how to see the world through a creative, connection-focused lens. Then, as we move into workshop time, everyone is invited to create spontaneous on-demand poetry. We’ll discuss how vulnerable creativity begets empathy, introspection, and breakthroughs not just on the page, but in client and team meetings, and all across the corporate landscape. For more info and to schedule a workshop, please contact The Booking Biz, or click “Book Now” below.